Heat oven to 375°F. Unroll dough onto ungreased cookie sheet. In small bowl, stir together sugar and cinnamon. Sprinkle mixture evenly over dough. Cut flatbread in half crosswise then lengthwise into 8 strips, making a total of 16 strips. 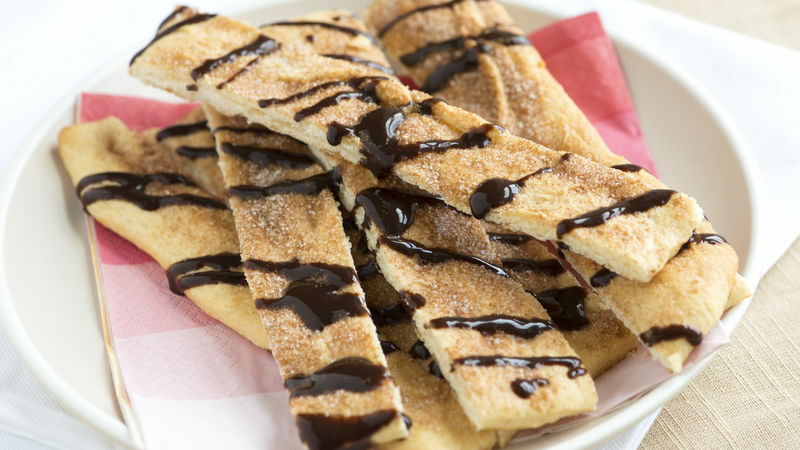 Drizzle chocolate sauce over strips. Substitute caramel or butterscotch sauce for the chocolate sauce.